The Explorer Ventures Liveaboard Fleet has added ships that will cruise the Red Sea as well as the Maldives. The Grand Sea Explorer joined the fleet this month. 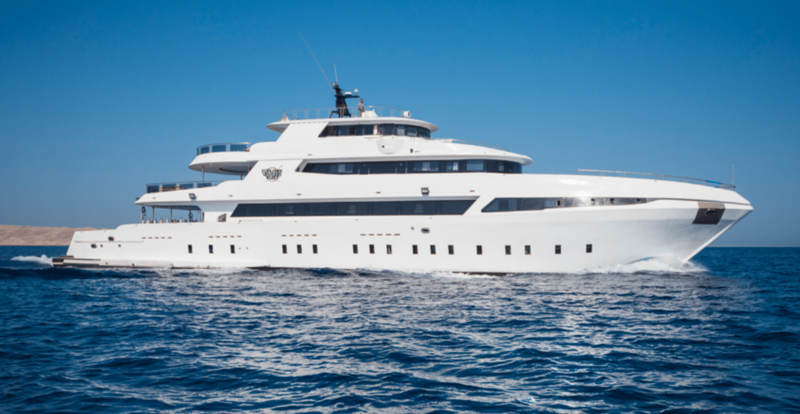 At 134 feet (41 meters) long, her seven-night itinerary will take guests through the Brother’s Islands, Deadelus Reef and Elphinstone Reef Marine Park sites. Divers will be able to see thresher sharks, whale sharks, mantas, oceanic whitetips, and hammerheads. In addition, this new Red Sea itinerary includes a land extension to sightsee the pyramids in Cairo. This coming August, the liveaboard fleet will welcome the brand-new Emperor Explorer in the Maldives. This 138-foot (42-meter) yacht will accommodate 26 guests in 13 cabins. On Emperor Explorer, you’ll not only dive the abundant coral reefs of the central atolls, but also have the opportunity to observe the world’s largest known population of reef manta rays. Whale sharks can be seen year-round, and special itineraries allow you the chance to see elusive thresher sharks. Guests will be able to choose between seven- and 10-night trips for individual or full charter bookings. Red Sea departures are already available for 2019, and departures in the Maldives launch this August. With the new additions, Explorer Ventures’ growing fleet is now comprised of eight liveaboards in seven destinations around the world. For more info about Grand Sea Explorer, Emperor Explorer, or Explorer Ventures’ other destinations, go to explorerventures.com.